Those whispers have turned into a roar and it's now looking increasingly likely that we won't have long to wait to see the reboot of this iconic handset. While we wait (reasonably patiently) for that exciting moment, Sarang Sheth, Editor in Chief at Yanko Design, has created some absolutely stunning renders of the handset based on leaks and rumours, which he describes as "the perfect fusion of futurism and nostalgia". We couldn't agree more. Feast your eyes on the gallery below. 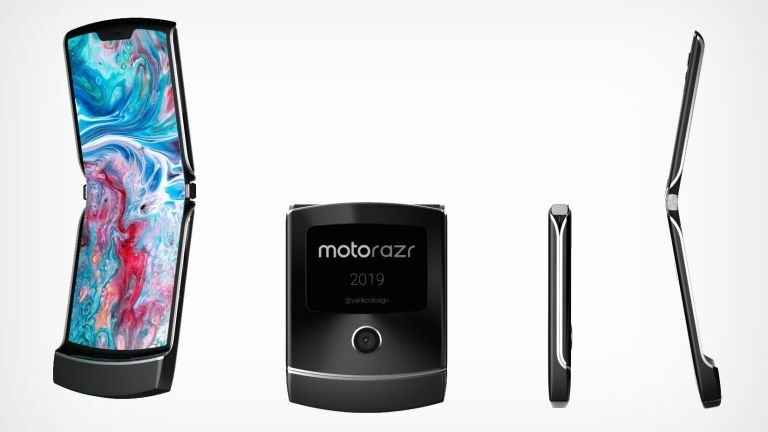 The 2019 Motorola Razr isn't the only folding phone to expect this year. In fact, it looks as though we'll be spoiled for choice. Huawei will be launching its Huawei Mate 5G folding phone at MWC. Samsung showed off a prototype of its Samsung Galaxy X, which we're expecting to either see at the Samsung Galaxy Unpacked event on February 20 or the following week at MWC. Then there's the Xiaomi MIX Flex, which is in prototype stage but Xiaomi says it will make it if there's enough interest. LG has the amusingly named LG Bendi queued up for launch. And finally, Motorola has a second folding phone in the works, which is as yet unnamed.